They have been called sideboards, buffets, credenzas, or simply cupboards, but once you know the history of sideboards and buffets, you will agree: you need one. 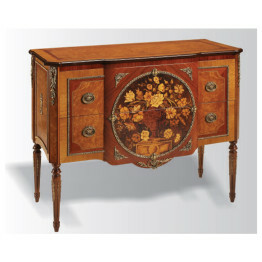 “Coming into their own” means that the sideboards transformation from “the boards” to an ornate piece of furniture designed to reflect the social status of the home (or manor) owner. While they still maintained the purpose of holding food after service, they also became storage places for silver and other treasures. Shelves were sometimes added so that silver could be on display at all times. Mirrors were also added to help reflect the light and highlight all sides of the pieces on display. 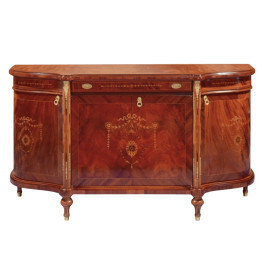 While most of us don’t have servants standing at the ready to bring food from the sideboard, we know this piece of furniture is an important piece both for storage and entertainment. They hold our fancier serving pieces that don’t generally go in the everyday rotation of dishes and provide a way to enhance the decor in our dining rooms both in their design and in the ability to use that flat surface as a display place for our treasures. 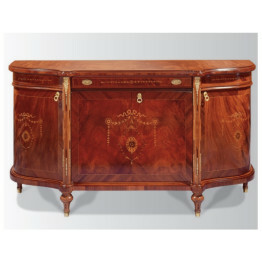 Today, you can shop for antique credenzas that may have served families of wealth from throughout Europe and the Americas. 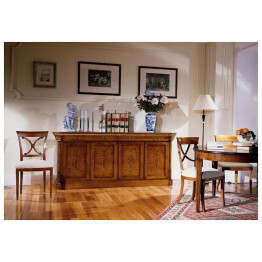 And while all styles reflect the history of that country, there is none quite as versatile as the Italian credenza. Styles can be rustic, romantic, formal, or streamlined in the Italian tradition–and can complement dining tables from aesthetics from most cultures. Wondering what styles best suit your dining room? 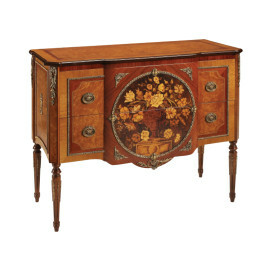 The Alessandro Collection 4 Door Sideboard with brass appliques and gold accents. 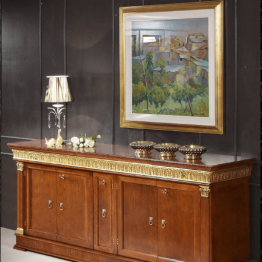 Part of the Deo Dining Collection Hand crafted Classic Italian Sideboard with four doors, and two drawers remain one of our most popular collections This attractive buffet is shown embellished by hand painted gold and inlaid with black line design. Your family and guests will admire the superior construction and design of this piece. Our exclusive Gino Vanni sideboard collection defines real Italian sophistication and practicality. The magnificently individual lines are wonderfully crafted, and the large size gives a beautiful way to store your fine china and linens. 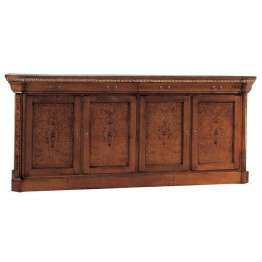 Ask us about the 2-door and 3-door matching Italian sideboards. Size: 83″ W x 21″ D x 36″ H.